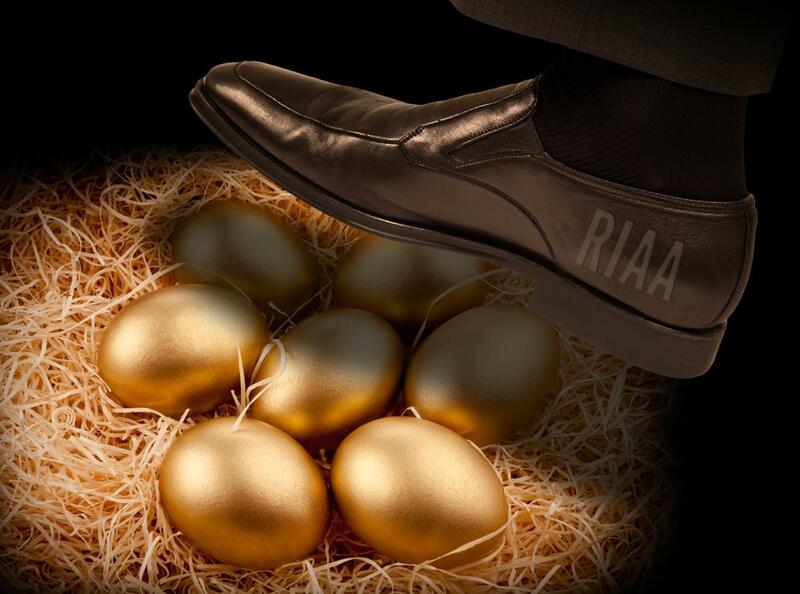 Does the RIAA even want Pandora’s golden eggs? Streaming music services are dying. I know, I know: By almost any metric you use, the streaming music business is actually booming. Let’s just look at the two biggest examples. Over 150 million people have signed up to hear tunes through Pandora, while another 33 million folks sing in the shower with the help of Spotify. Spotify alone sucked down over a quarter of a billion dollars — that’s billion with a “B — in revenue in 2011. Pandora’s revenues topped $100 million last quarter alone. That’s a ton of ears and even more moolah, and those numbers should only increase as more and more people move to using mobile devices with limited storage space and free-roaming Internet abilities. Even still, the streaming music services are dying. That’s because the one metric that matters most just so happens to be the one metric that both companies fail miserably at: actually making money. Despite those millions of customers and hundreds of millions of dollars in revenues, you see, neither Pandora nor Spotify have yet to make a single dollar’s worth of profit. And it’s not their fault. The streaming music services are dying, choked slowly into oblivion by the overwhelming greed of the music industry. By almost any metric you use, the RIAA and the rest of the American music industry should be swooning over the meteoric rise in streaming music popularity. The streaming music revenue model monetizes listeners who used to download albums off of BitTorrent and LimeWire, converting their once-illegal habits into actual income through the royalties paid by the services themselves. In a nutshell, streaming music services turn nothing into something for the RIAA and co.
Study after study has shown that having free or low-cost legal music options stamps out piracy much more efficiently than dragging illicit downloaders into court ever did. Spotify found raging success in the Scandinavian countries, for example, and those countries have seen music piracy rates drop between 25 and 50 percent since the service launched. The number of pirates continues to dwindle as time goes on. Streaming music is a cow that will never run out of milk. Unless, of course, the cow itself winds up dead. The music industry’s greed could very well end up doing that. Why aren’t streaming music services making money? It’s simple: they pay too much money out in royalties. Pandora differs from most streaming music services in that it’s more accurately called an Internet radio station: It plays whatever music it wants, then gives the artist a royalty payment in line with what’s mandated by a government statutory license, which also imposes limits on on-demand listening and the number of times a song can be played in a set time period. The license fee works out to the greater of $0.02 per listener per hour or 25 percent of the company’s revenues. It’s that “whichever’s greater” part that’s killing Pandora. That line forces Pandora to pay out over half its revenue in royalties, a completely unsustainable long-term business model. Because of that, the company is lobbying hard for Congress to pass the Internet Radio Fairness Act, a bill that would allow Internet radio royalty rates to be set by a panel of judges who adjust royalties based on their commercial value, similar to what’s done for traditional cable and satellite radio. The move could drop Pandora’s royalties down to 8 to 16 percent of total revenues, a much more sustainable amount. Our Geoff Duncan already tackled the complex subject in-depth. Conversely, the music industry backs a competing bill called the Interim FIRST ACT (PDF) that would force traditional broadcasters to pay the same high royalty rate as Internet radio stations. Spotify and the other on-demand music streaming services handle things a bit differently. They’ve negotiated individual licensing deals with the music labels that have the services paying agreed-upon rates for streaming music. The exact amounts haven’t been disclosed, but they’re definitely steep: Spotify CEO Daniel Ek has said that 70 percent of revenues go “back into the industry,” but a recent leak of the company’s 2011 financials suggest royalty-related costs could consume a whopping 97 percent of the company’s revenue. Streaming music: Shining brightly, but destined to fade? No company can survive those kinds of content costs. Even more incredulously, several artists have complained that services like Spotify still don’t pay them enough, although TechDirt’s Mike Masnick — a noted intellectual property journalist — says that when a royalty collection agency studied the numbers, it found that Spotify pays a much higher royalty rate per-listen than iTunes or traditional radio. Some analysts have suggested that running more ads would reduce the royalty burden and increase revenues for streaming music services, but as anyone who’s ever listened to the free version of Spotify can tell you, the service runs an abundance of ads — and it’s still losing money hand over fist. It’s a complicated subject, to be sure, and it’s similar to the struggles other content providers are facing in an Internet-connected world where most digital content inevitably moves towards no cost for the end user. But here’s the rub: The music industry has already been there. Piracy ran rampant in the previous decade in the form of file-sharing, and that specter still looms large over the U.S. music scene. Low-cost streaming music services offer artists salvation, having already proven that they can turn today’s bleak piracy-filled landscape into a profitable revenue stream for the future. But if the music industry can’t check its greed and hash out a royalty scheme that works for artists and streaming services alike, it could very well snuff out the golden egg-laying goose for good. If the two brightest streaming music stars can’t sustain, none of the services can. But hey, look on the bright side! If Spotify and Pandora go down, there’s always BitTorrent.